My 5-year-old daughter is a huge L.O.L Surprise fan, she has built up a collection of dolls, baby sisters and pets and she will play with them for hours making up games and changing their outfits. She really is L.O.L crazy and whenever anything new and L.O.L Surprise related comes out she is always eager to have it. So when we were sent a box full of L.O.L Surprise games she was super excited! It was also perfect timing to keep the kids entertained during this cold and wet February half-term. We were sent a parcel that contained L.O.L Surprise: Surprise Makeover game (RRP £25), plus some L.O.L Surprise trading cards, a L.O.L magazine, a L.O.L scratch art set and some treats for the winner. Sophia couldn't wait to play the game and even got her little brother to join in the fun too. 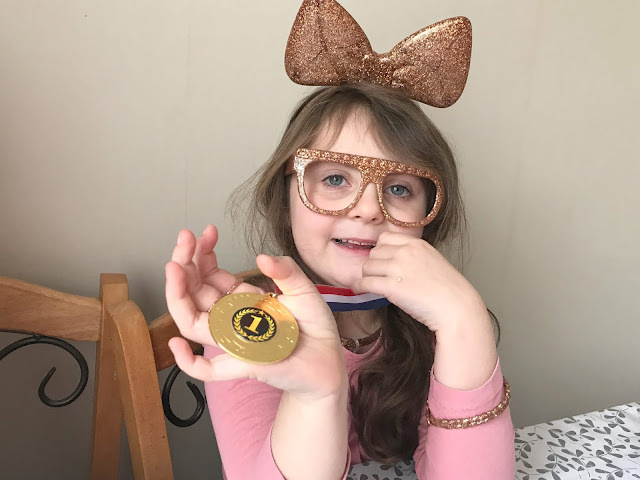 The rules of L.O.L Surprise: Surprise Makeover are simple players need to find matching playing cards and then they can wear the accessory they have matched. The first player to match the cards and wear all five accessories is the winner. The accessories are headbands, sunglasses, necklace, bracelet and a ring and all the accessories are designed and coloured to look just like the L.O.L Surprise doll accessories. Sophia loved this as she said she was dressing up like an L.O.L doll. 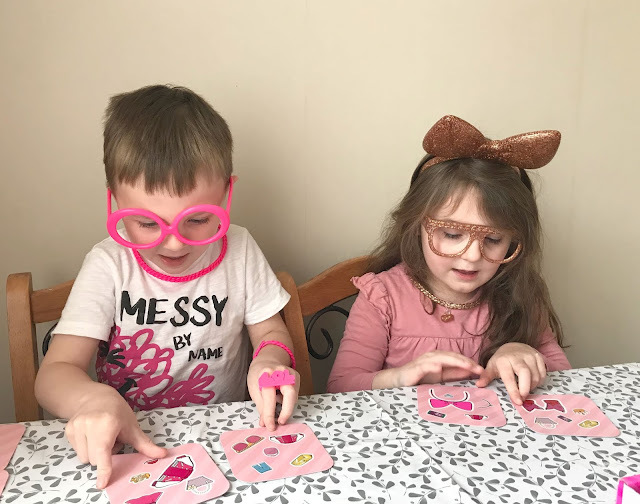 The game is recommended for children aged 6+ but my 4 and 5 years picked the rules up easily and managed to play with a little bit of adult supervision. Things did get a bit competitive so we did play the game quite a few times to see who the overall winner was. 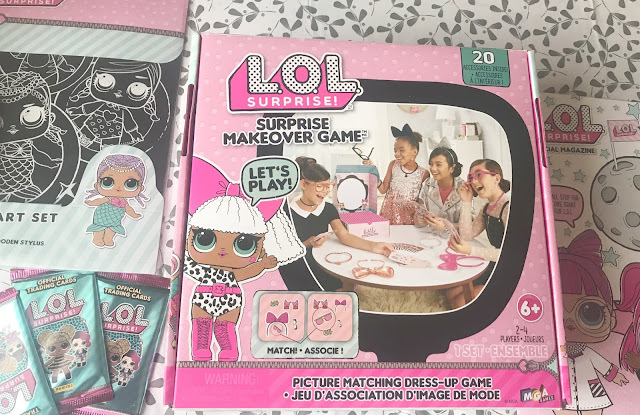 The children really enjoyed playing this game and dressing up like the L.O.L Surprise dolls, it was a simple enough game to play and I am sure that any L.O.L Surprise fan will enjoy playing it. We enjoy a family games night (or day) so this is a great addition to the children's board game collection. You can buy the L.O.L Surprise: Surprise Makeover game now from Amazon. John Lewis and leading toy retailers priced at £25. Disclosure we were sent this game for the purpose of this review, however all opinions are my own.